Discussion in 'Classifieds' started by SimonR, Mar 25, 2019. Stunning Vanson Model E Highwayman Deluxe in competition weight leather. This comes with the quilted lining and also the removeable mouton collar. 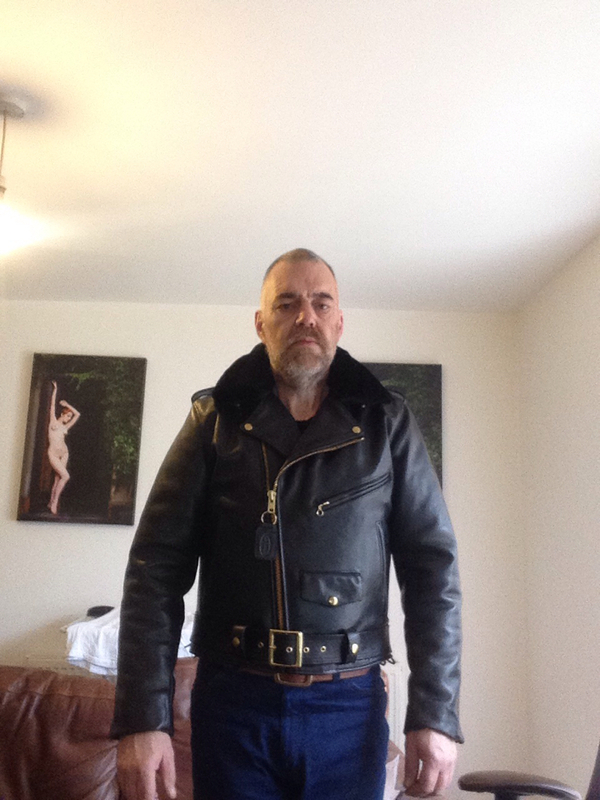 The price I'm offering really is an excellent deal is you are after one of these jackets - the competion weight leather means it will take some breaking in but will be worth it ! Jacket construction is every bit as good as some of its higher priced rivals and I'm sure the new owner won't be disappointed. Back length is 25.5 . Vansons are the best. I have 4 and I love every single one of them. You cannot get a better jacket, especially for the price. Anyone who's looking for a size 44 jacket they'll never have to replace, you're in for a treat. I've been working on breaking in my Comet for 4 years now, and I feel like it's becoming more comfortable and more like an old friend every time I put it on. Shoulder seam to end of sleeve 26"
Nice fit pic . What are your height and weight please ? relaxed chest 44/45" actual proper waist 36"
weekend bump - offers close to £475.00 ? is the shoulder width from the ends of the epaulettes?